Britains opposition Labour Party, in conjunction with Conservative rebels, is planning to try to seize control this week of Brexit negotiations by forcing Prime Minister Theresa May to bring her previously rejected Brexit deal to yet another vote in the House of Commons before the end of the month. The effort is aimed at ensuring Britain does not leave the European Union March 29 without a trade deal, a disorderly exit the Bank of England has warned could throw the British economy into recession. 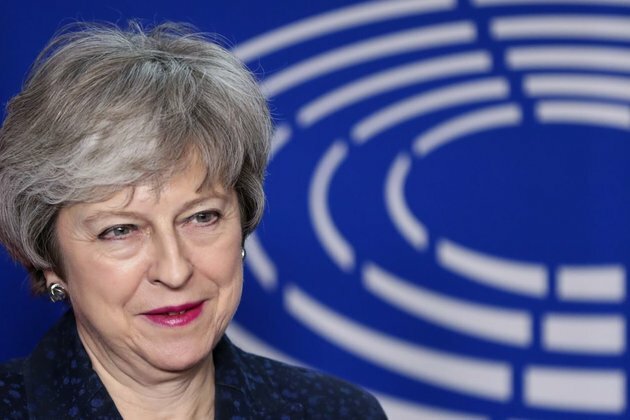 Since January, when her Brexit deal the result of two years of haggling with the EU was emphatically rejected by parliament, drawing the scorn of both pro-EU lawmakers and Brexiters, May has dusted it down and plans to offer it up again for a vote. She hopes to get Brussels to agree to revisions, but so far the EU, with the united support of all the other 27 member countries, has refused to reopen negotiations on the text of the 585-page agreement. Aside from the risks of a no-deal Brexit, the Bank of England predicts that Britain will this year see its weakest growth in a decade, partly due to the uncertainty accompanying Britain's departure from the bloc after 40 years of membership. British businesses as well as former prime ministers and retired top civil servants have been warning that Britain is ill-prepared to crash out of the bloc without a transition deal. One of Mays Conservative predecessors, John Major, last week described Brexit as the worst foreign policy decision since the Second World War and dismissed suggestions the fractious divorce from Brussels could herald a return of the countrys wartime Blitz spirit, which would help Britain overcome the wrenching dislocation of crashing out. He said a no-deal Brexit must be avoided at all costs and called for exit day dubbed by Brexiters as Independence Day to be pushed back to make sure lawmakers are not bounced in March into voting for Mays very bad deal so as to avoid the worse fate of leaving without an agreement. Major has been campaigning, alongside former Labour Prime Minister Tony Blair, for a second referendum to be held on whether Britain should relinquish its EU membership. Blair warned Sunday that a no-deal Brexit would inevitably lead to a so-called hard border being reintroduced on the island of Ireland with potentially devastating consequences for the peace process in Northern Ireland. He said leaving, without either a transition agreement or greater certainty over a future long-term trade deal with the EU, would mean no closure for the country, leaving the political arguments to rage on long after Britain has formally left the bloc, with which it is deeply integrated. Mays contentious Brexit Withdrawal Agreement would avoid the necessity of border checks between Northern Ireland and the Irish Republic by keeping Britain temporarily within the EUs customs union and Northern Ireland aligned closely with EU product standards and regulations while a final trade deal is negotiated between London and Brussels. This backstop transition proposal has infuriated Brexiters within May's Conservative party, which is ruling as a minority government. In January, a third of Conservative lawmakers joined opposition parties in rejecting her deal, delivering May the worst Commons defeat ever suffered by a sitting prime minister and throwing the Brexit process into deeper turmoil. The domestic political battles over what should happen next are as much being fought out within the Conservative and Labour parties, which are deeply fractured, as across the formal political divide. The countrys two main parties are in fratricidal mood. The party system provides the foundation for parliamentary democracy; now its broken, our unstable hung parliament in Westminster is wobbling more and more, according to Sky News journalist Adam Boulton. Whatever route MPs choose over the next few weeks no deal, Theresa Mays deal, a softer Brexit or delay all roads will probably lead to an early election, he wrote in Britains The Sunday Times. Conservative party officials are preparing for an early election, slated for June 6, a date weighted with history, being the day in 1944 that the Allies stormed the Normandy beaches to start to roll back the Nazi occupation of Europe. Ministers have denied a snap election is in the offing. Mays Cabinet is deeply divided, too, and dozens of pro-EU ministers have threatened to resign, if it appears shes steering Britain toward leaving the EU without a transition deal. They also want a clearer route to agreeing subsequently to a final free trade deal, which would align the country closely with the EU. But they are opposed by Brexiters in the Cabinet, who are muttering about resigning too. Last week, Jeremy Corbyn, Labours leader and a longtime critic of the EU, which he has long denounced as a 'capitalist club,' proposed Britain remain permanently in the EUs customs union and closely aligned with the blocs single market laws, something Brexiters say would render Britain a vassal state, working under EU rules but not being able to shape them. It would also prevent Britain negotiating bilateral trade deals with non-EU countries. Corbyns proposal has infuriated many of his own lawmakers, the majority of whom are Remainers. They aim to maneuver the whole Brexit mess toward a second referendum, which they believe would overturn the June 2016 plebiscite, in which a thin majority voted to leave the EU. Bowing to pressure from his party, Corbyn appears to have endorsed a plan by pro-EU Labour lawmakers that would stop May running down the clock and offering parliament the last-minute stark choice of leaving without a deal or voting for her unpopular withdrawal agreement. On Thursday, they will propose a measure that would, if endorsed by the Commons, force May to bring her deal back to parliament this month. If it fails again, the measure would require May to request the EU accept a delay in Britains exit of several months while a new agreement is negotiated.